It’s october, the leaves are falling, we had our first frost this week… and here is yet another KDE 5 release for Slackware to keep you warm and cozy. I am happy with my KDE 5_15.10 update. Again I waited until every KDE source was refreshed: this set contains Frameworks 5.15.0, Plasma 5.4.2 and Applications 15.08.2. And you know what? The “progress bar issue” which has plagued me ever since the first Plasma 5.4 release could finally be resolved, thanks to Gérard Monpontet who posted the solution in the comments section of previous Plasma 5 blog post. I love it when the Slackware community helps fixing issues well before they start bothering Pat. Apparently, desktop sessions not only need to be started using a ConsoleKit process but also using a DBus invocation. But that’s not all; there is a bit more to tell about the October release. What’s new in KDE 5_15.10? Plasma 5.4.2 is a bugfix release and perhaps the last before 5.5.0, because 5.4.3 will only be released if there’s a need for it. See https://www.kde.org/announcements/plasma-5.4.2.php . New this month is that I enabled the compilation of the “plasma-mediacenter” application, which you may or may not like, but at least you can check it out now. I have finally enabled KDE Telepathy in my KDE.SlackBuild framework. That’s 14 new packages for you! Only the voice & video GUI is still missing, the KDE Telepathy developers are looking for someone knowledgeable to port the old KDE 4 version to Frameworks 5. And to support building them, I had to add yet another 18 packages in the “deps” section. You will find those dependencies all self-contained in a single “telepathy” subdirectory right below “deps”. That way, if you don’t care much for Telepathy you can easily skip these packages. Similarly, the new KDE Telepathy packages are all located in a subdirectory “telepathy” below “kde”. The full list of new Telepathy dependencies is : libotr, libnice, farstream, libaccounts-glib, libaccounts-qt5, signon, signon-plugin-oauth2, signon-ui, libsignon-glib, telepathy-glib, telepathy-farstream, telepathy-haze, telepathy-gabble, telepathy-qt5, telepathy-logger, telepathy-logger-qt5, telepathy-mission-control and telepathy-accounts-signon. I added a new package to “plasma-extra” because I did not want to wait for Plasma 5.5 where this program will likely be included by default. It is called “xembed-sni-proxy” and on startup (automatically when you launch a Plasma 5 desktop session) it will dock into the Plasma system tray area and start listening for XEmbed requests. Tray icons for applications adhering to the “legacy” XEmbed protocol will be displayed seamlessly inside the Plasma tray area, courtesy of xembed-sni-proxy). There is no longer a need for external tray applications like trayer-srg or stalonetray. Here is a screenshot which shows the (XEmbed) HP system tray icon – snugly placed inside the xembed-sni-proxy tray area. You’ll also notice the reddish avatar at the left – that is KDE Telepathy, its color informing me that it is does not have any account configured yet. The remainder of the article is mostly a re-hash, but I include it every time so that you do not have to search through this blog, and have everything together on a single page. As always, the accompanying README file contains full installation & upgrade instructions. Note that the packages are available in several subdirectories below “kde”, instead of directly in “kde”. This makes it easier for me to do partial updates of packages. The subdirectories are “kde4”, “kde4-extragear”, “frameworks”, “kdepim”, “plasma”, “plasma-extra”, “applications” and “telepathy”. 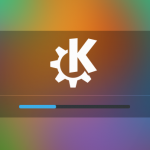 Upgrading to this KDE 5 is not difficult, especially if you already are running KDE 5_15.09_02. You will have to remove old KDE 4 packages manually. If you do not have KDE 4 installed at all, you will have to install some of Slackware’s own KDE 4 packages manually. Posted: 13 October, 2015 in Slackware, Software. I immediately download and install. Telepathy is unusable, plasma crashed when trying to configure accounts, crashed when trying to connect (reproduced with google account as \”google\”, as \”jabber\” too). Other applications works fine, thanks for your work, Eric. Likewise, all is well EXCEPT Telepathy. It crashes Plasma as soon as I try configuring my Google account settings. Plasma crashes HARD when this occurs. Reboot time. Normal uptimes here are in weeks, if not months. Great! Reading about Telepathy, a minor suggestion came into the mind – may be it is worth to put all games and edu packages into separate subdirectories? It takes a lot of time to hunt them down if one has no need for them. Looks like a fix for ktp-accounts-kcm shown here: https://quickgit.kde.org/?p=ktp-accounts-kcm.git&a=commitdiff&h=07c7cc5309e11171b2e552678d58257ccfc44e42 (found in the bug report https://bugs.kde.org/show_bug.cgi?id=351785) has not been applied before the 15.08.2 tarball was created. I just checked and I am indeed using the published ktp-accounts-kcm-15.08.2 source tarball. Tonight I will try that patch and see if it fixes the crash. If one of you is able to test it earlier, be my guest! I’d love to hear if the patch is needed. it seems that part of the new set of packages in has gpg issue, according to slackpkg(+). yes, it seem the .diff no resolved the problem. Yes I can confirm that the patch does its job. Updated ktp-accounts-kcm packages are on their way. I could connect my ICQ and Jabber accounts successfully. On Google I am using two-factor authentication to avoid hi-jacking of my account. I never was able to make that work with external applications like LibreOffice’s GDrive integration, and now KDE Telepathy. 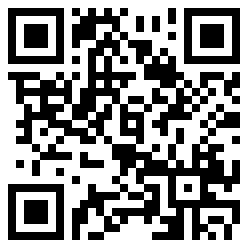 Patched ktp-accounts-kcm has been uploaded to the repository. Thank you eric! So far it’s really good. Confirmed, the ktp-accounts-kcm patch works. Still having issues authenticating w Google, and I don’t use 2 factor authentication. My old Kopete still works fine for GoogleTalk, but was hoping for their sneaky Hangouts to start playing nice w KDE. Nonesuch luck. Thank You Eric for all you do here. I have re-generated all the meta data (md5, asc and meta files). The gpg errors should be gone now. If anything, the issue now affects all the packages, not only the ones in the “deps/telepathy”. First thousand thanks to you Eric for enhancing Slackware ! As I fear a bit to make the jump on this release as my system is working good (but so curious…), does anyone has a hint to backup current state wich may makes things easier to revert ? I was thinking of just backing up the ~/.kde directory since I believe a simple slackpkg install kde (without ktown) should do the trick. Michelino I checked all GPG signatures on taper.alienbase.nl and Ican not fnd a bad signature. Do you have example error output? What is the repository URL you are using? Tonus you need to make backups of .kde but also of .config and .local directories to be safe. The command “slackpkg install kde” will install the KDE packages from the Slackware repository, not my own ‘ktown’ packages; is that what you want? I was meaning “slackpkg install kde” to revert changes. So all is ok.
ERROR – Package not installed! md5sum error! I’ve no ideas why, any suggestion? And that came up empty, i.e. all md5sums checked OK. Your issue is most likely caused by Akamai caching. Akamai’s servers are inbetween taper.alienbase.nl and your computer. You can try a different mirror or wait a while for the Akamai cache to expire. Tonus, you would have to un-install all of my packages first, before you run “slackpkg install kde”. How do? I am about to do a clean install of your packages today, I notice in your README file – your instructions say to remove KDE 4.14.3 – but a number of files in -current appear to be 4.14.6 – so the question begs to be asked : ) Does your README FILE need to be updated, or am I off base? The remaining few core KDE packages that do not have a 4.14.3 version are safe to stay because they are going to be upgraded anyway in the next set of upgradepkg commands in the README. I could have fine-tuned the set of commands because there are many KDE related (non-core) packages that have different version numbers but it would require at least 10 more commands. The upgradepkg command takes care of things well enough. And anyway, this is a testing repository for Slackware-current which is itself a development version – I expect people to use their brain when they visit these pages. Blindly following a README is not going to a guarantee for 100% success. Good stuff, was just clarifying….sometimes…that’s how I use my brain : ) Talk to you soon. I tried again just now, and I still get the MD5 sum issues. Perhaps it takes 24 h for changes to propagate to Akamai’s servers? Anyone experienced freeze while drkonqi is invoqued? I have got random freeze of the desktop (mouse still movable) and save an error related to drkonqy not starting on tty1 with a faulty pid. I don’t have MD5 sum issues anymore! Now, Telepathy won’t go online. It gives a password error. Also, it doesn’t accept an application-specific Google password. Congratulations! You’ve arrived at precisely the same state as the rest of us. I suspect NOBODY will be signing on with Google until they allow this build of Telepathy and KDE-apps to connect to them. Those who are willing, please file KDE bug reports about the Google incompatibility. Willy Arana, did you install the xembed-sni-proxy package and all the “deps” packages and still the wicd system tray icon does not show? I will create have created a patched ‘kio’ package to include this desktop file. See https://bugs.kde.org/show_bug.cgi?id=350769 . Anyone using dual/multi monitor setup? The background on my second monitor has gone blank after the upgrade and I can’t even open the context menu to change the background. My laptop is connected to an external monitor at work, i.e. right now. I have set a different background image on both monitors. I run the latest -current with the latest set of Plasma 5 packages. No issues here. Sam, I had the same issue. 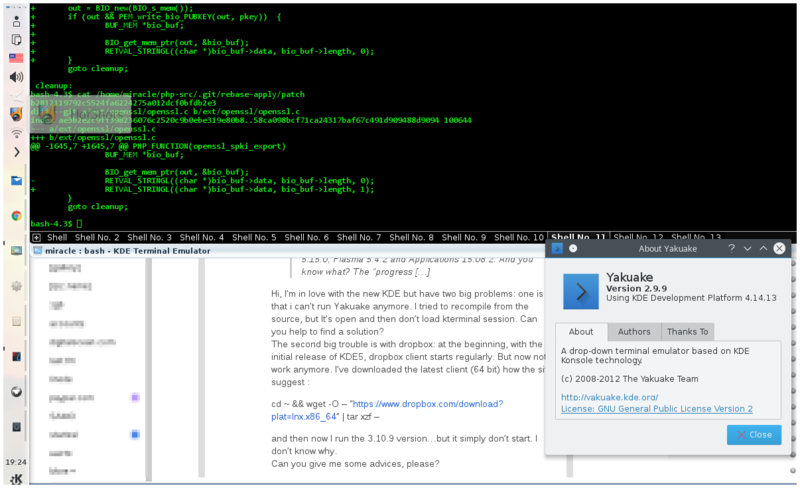 I had to set KDE to auto login ( because I could not see the login sddm prompt ). Then went into System Settings -> Display Configuration. What happens is that both your monitors are on top of each other – you need to drag one off to the left or right depending on your preference, so that they are side by side. Hope that helps. I just restarted X after reading Eric’s comment and it’s back to normal. – The first I can not setup the usb modem in kde-NetworkManager at the last step that is not able to push the button “OK”. I have actually never used a VPN connection in KDE, and also I do not have a USB modem, so I can’t give you a good advice on how to fix this… I hope that someone else reading this page will be able to give a better answer. You must install NetworkManager-openvpn plugin, or maybe NetworkManager-vpnc, or both. It’s available on SlackBuilds.org. Hi, I’m in love with the new KDE but have two big problems: one is that i can’t run Yakuake anymore. I tried to recompile from the source, but It’s open and then don’t load kterminal session. Can you help to find a solution? and then now I run the 3.10.9 version…but it simply don’t start. I don’t know why. Can you give me some advices, please? About yakuake you have to compile git (framework) version. otherwise it does not compile. It’s queued up for next week when all the KDE software sources should have fresh releases. I have one minor annoyance. I use the US Dvorak keyboard layout but launching programs with shortcuts follows the US Standard layout e.g. I have Meta-‘F’ to launch Firefox but typing Meta-‘F’ does nothing. I have to type Meta-‘U’, which is where the US Standard ‘F’ key is, for Firefox to launch. I was going to compile khotkeys and got the src from your repos but couldn’t find a slackbuild just for khotkeys and I don’t know enough to make one so I used src2pkg and your slackbuild toolkit but they both failed for different reasons. I did what you suggested and khotkeys compiled and re-installed without problems but it did not solve the issue. This didn’t start to happen until the July release, before then it was working fine.